With the hot and humid summers in Southwest Florida, air conditioners are all but required, and if the system in your home is showing its age, it may be time for a new A/C installation. There are several signs that it may be time to upgrade, and they should be considered carefully. As the components of your air conditioner begin to wear and fail, the system’s efficiency will gradually decrease and its cooling effectiveness will wane. If the system is a few years old, it may already be inefficient, and though you could keep it running with frequent filter replacements and minor maintenance, its lack of efficiency will start to add up, leaving you with huge utility bills. Eventually, the accumulated operating costs will become higher than the cost of a new system. 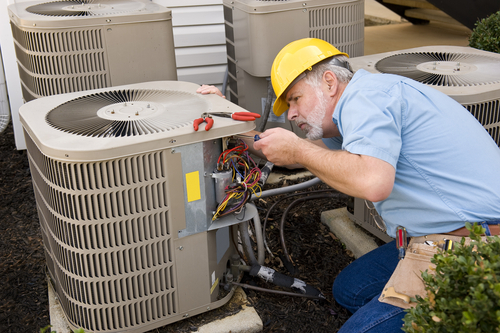 When your system starts breaking down frequently, and the repair bills start creeping higher, it may be time to consider a new A/C installation. Once major components like the blower motor or compressor start failing, it’s only a matter of time before the others follow, because they all tend to have similar life spans. Upgrading to a new system can reduce your maintenance costs significantly and it will be far less trouble than scheduling all those service visits. Even if your air conditioner is running perfectly fine now, you should be ready to replace it if it is over 10 years old. Most air conditioners have an expected lifespan of 10 to 15 years with proper maintenance, or shorter if the maintenance was erratic or incomplete. At this point major components will begin to fail and it will start to run less efficiently. By upgrading to a new model, you can take advantage of today’s advancements in efficiency, and save up to 20%-40% off your cooling bills. If you are considering a new A/C installation, talk to our cooling experts at Conditioned Air to learn about your options. We have been serving Naples, Fort Myers, Sarasota and the surrounding areas since 1962.